A Shakespearean tragedy is not always a fun way to spend an evening. 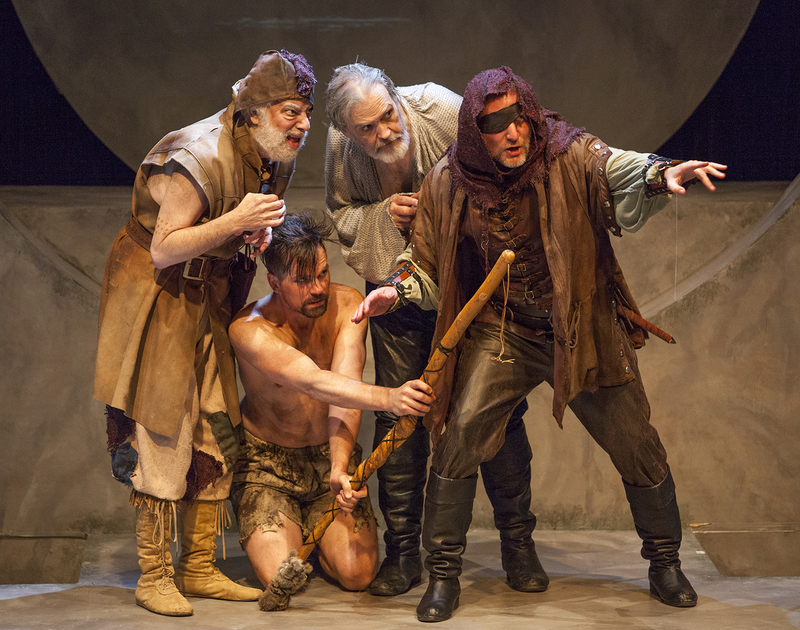 I’ve seen way too many productions where any combination of an inept cast, spotty direction or technical inadequacies tend to make the Bard unbearable. Not so with the St. Louis Actor’s Studio presentation of “King Lear.” An absolutely superb cast with snappy direction by Milton Zoth and sets and lights that work effectively on the small stage at Gaslight Theatre along with some tremendous work by costumer Teresa Doggett all add up to a most pleasant and gripping evening. The three daughters are played by three actresses of note who display a wide variety of character while still showing the same false heart. Meghan Maguire as the decietful Goneril, Missy Heinemann- the flirtatious Regan and Jessica Laney as the devoted yet stoic Cordelia all give stellar performances. William Roth is solid as the Earl of Gloucester with equally adept performances from his sons Edgar and Emond, played by Justin Ivan Brown and Rusty Gunther. Eric Dean White is the somewhat oily Earl of Kent while the cast is rounded out by David Wassilak as Oswald and Paul Cooper as a knight. The entire cast melds as a unit, all peaking with the same level of expertise and devotion to the Shakespeare script. Patrick Huber has done wonders with the lighting and set design on the small theatre space. Multi levels with doorways leading under the elevated areas and, of course, using the audience entries to extend the action. A circular disc in the background is home to several projections that allow for scene identification as well as other aspects of the script. 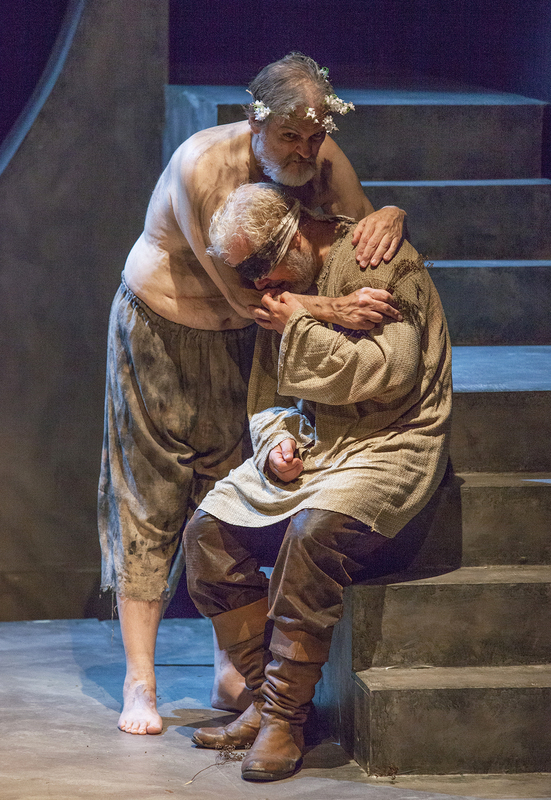 Combined with those spectacular Teresa Doggett costumes, this is a consummate production that brings the action close to the audience and lets us identify with the characters like no “King Lear” we’ve seen before. Milt Zoth and company are to be applauded for pulling off this feat. With the intimacy of the theatre space, it’s such an approachable production and you can feel the pain, deceit and misguided majesty of the King, his family and followers. 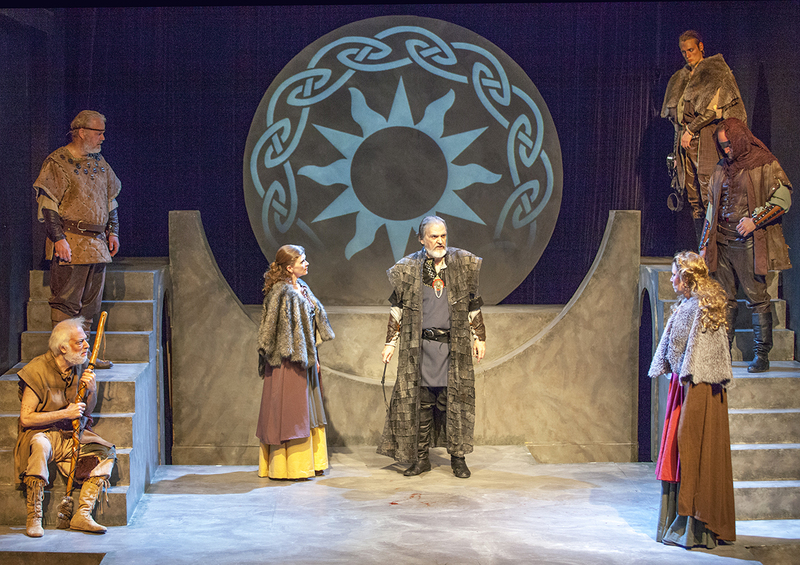 “King Lear” plays at the Gaslight Theater through June 23rd. Contact St. Louis Actors’ Studio at 314-458-2978 or at http://www.stlas.org for tickets or more information. This entry was posted on June 11, 2013 at 9:43 pm06 and is filed under Uncategorized. You can follow any responses to this entry through the RSS 2.0 feed. You can leave a response, or trackback from your own site.